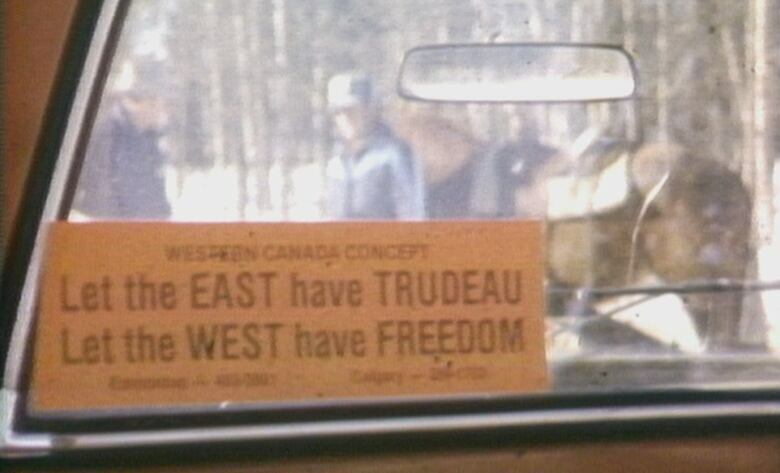 Fed up with the federal government in 1980, some Albertans wanted out. Pierre Trudeau's Liberals had taken back power from Joe Clark's Progressive Conservatives, and many in the province were "mad as hell." It might have been "only slightly ahead of its time," but in November 1980, The National reported on an initiative by two Edmonton businessmen to sell a "state of Alberta" passport. "They're printed in English and Ukrainian, cost two dollars and 50 cents, and orders are brisk," said host Knowlton Nash over an image of a newspaper ad for the novelty document. The spectre of Alberta separatism was serious enough for NDP Leader Grant Notley, father of future Alberta Premier Rachel Notley, that he went on the road to fight it. 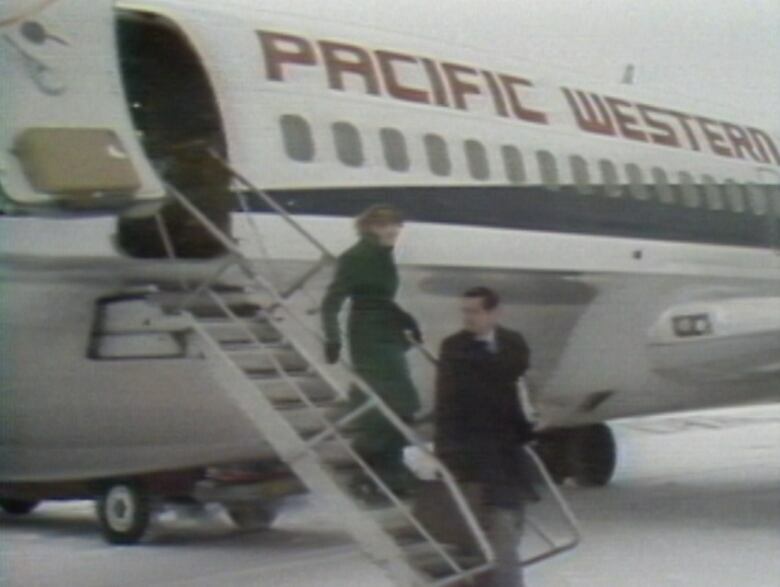 In December 1980, he travelled the province to convince Albertans of the benefits of national unity. "We've got some pretty powerful people who are now jumping on the separatist bandwagon, and somebody has to state the case for Canada," he said. At each stop, Notley met with local newspaper reporters and was a guest on open-line radio programs. In Fort McMurray, Alta., he had to defend a federal budget that included revenues derived from Alberta oil via the National Energy Program. "The province of Alberta will still be getting the lion's share," he reminded listeners. "Is 24 per cent too much to share with other Canadians?" Reporter Don Newman said Notley wasn't optimistic he'd have much effect, though. "He worries ... more and more Albertans are going to consider separatism a viable option," he summed up. Fourteen months later, Notley's worries were borne out by a newcomer named Gordon Kesler. In the riding of Olds-Didsbury, the candidate for the Western Canada Concept party was posing a real challenge to the more established parties in a provincial byelection race. "Mr. Kesler is not riding as hard against his opponents in this byelection as he is against Ottawa and Prime Minister Pierre Trudeau," said reporter Hugh Winsor. "Metrification, bilingualism ... when they destroyed the flag of the country," said Kesler, reeling off his grievances with Trudeau. "There's no end to what he's done to this country." An even stronger argument for separation, said Kesler, was the new Constitution about to be adopted in Canada. "The Constitution just wiped out your right to own property," he told a receptive crowd. "Some socialist is going to come to you and say, 'Oh no, that's not right.'" "The facts might be questionable, but the paranoia is genuine," said Winsor, before an assortment of audience members told him why they were in support of Kesler's ideas. "I think if enough people hear him, he stands an excellent, excellent chance," said one man. Kesler won the byelection, but lost in a general provincial election later in 1982 when he switched the seat he was running in.